In preparation for the historical fiction panel I’m moderating tonight, I’ve been reading the novels by the two authors on the panel, Carole DeSanti’s The Unruly Passions of Eugenie R and Kathryn Harrison’s Enchantments. I’ve enjoyed both and I’m particularly delighted that there are such wonderful contrasts between the two. If you’re in New York, you can come to the event. Here’s a link to the registration page with all the details. First for the similarities: both novels are set in the turmoil following the overthrow of governments in France and Russia. Both novelists chose to write in the first person from the point of view of young women. Eugenie and Masha are both caught in a floodtide of disastrous events. But then we start to see how novelists make choices and how a genre like historical fiction is endlessly fascinating because of the creativity of those choices. 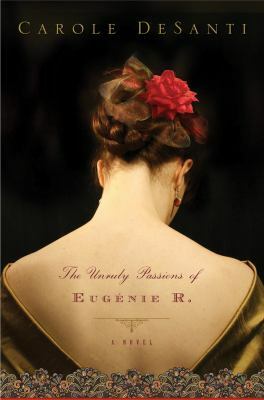 The Unruly Passions of Eugenie R is a richly detailed story about life in Paris in the 1860s when Louis-Napoleon Bonaparte was President of the French Second Republic, and the disastrous events in 1870 when his government was overthrown. Eugenie is a country girl who comes to Paris expecting her rich lover to follow and make her an honest woman. She lives through the siege of Paris and the ensuing chaos; in the process she learns to survive. There are a few historical characters who make an appearance, but DeSanti focuses on the unrecorded lives of (mostly) women who scraped, fought, starved, and loved as best they could, hounded by a male bureaucracy that feared and desired unattached women. DeSanti’s familiarity with the detail of Paris in that era is remarkable; I can’t begin to imagine the quantity of research that was required. 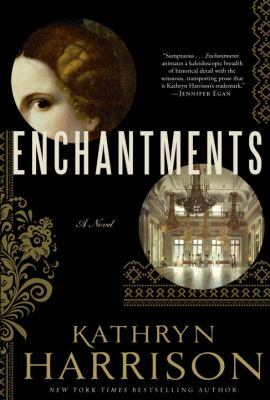 The characters in Kathryn Harrison’s novel Enchantments are almost all historical. The story of the end of the Romanovs, the last royal family of Russia, is steeped in tragedy, romance, and legend. Alyosha, the heir to the throne, unlikely to survive childhood because of hemophilia; Tsarina Alexandra, spending her days in a mauve-colored room, hoping that the Mad Monk Rasputin will heal Alyosha; and Tsar Nicholas who only wants to be a farmer. When the Tsar is overthrown, the family is moved to the Summer Palace at Tsarskoe Selo, under house arrest, forbidden to leave or display any trappings of monarchy. Rasputin’s gruesome murder has already occurred when Harrison’s book opens and his daughters have moved in with the Romanovs for their own safety, or so they are told. Masha, Rasputin’s oldest daughter, teller of this tale, has been asked by Alexandra to be a companion to Alyosha. Alexandra is hoping that Masha has absorbed her father’s healing powers, but Masha’s talent is as a Scheherazade–she tells Alyosha stories that transmute the pain and perplexities of his life into something else entirely. We also see Rasputin from her perspective, one that humanizes him, stripping away the legendary and comedic aspects and reinventing him as a loving father. There are wonderful set pieces in both novels and both are absorbing in such different ways. I heard Kathryn Harrison speak last week at the Center for Fiction and she said that Masha was “her eyes to see into the story.” That’s a great way to describe the role of character in historical fiction–I’ll have to ask both writers more about how their characters evolved.